The Christian Writers Guild (CWG) dissolved in November after 50 years in business. Author Jerry B. Jenkins has owned and operated CWG for 14 years, and in 2013, launched a custom publishing house bearing the guild’s name, Christian Writers Guild Publishing. Aiming to “train tomorrow’s Christian professional writers,” CWG had more than 1,000 members worldwide, according to its Facebook page. The guild ran an email correspondence course and assigned each student a seasoned professional to mentor them throughout the program. CWG also operated the Writing for the Soul conference. Several months prior to the dissolution, Jenkins and Sheets began exploring the idea that the educational model of the guild was better suited to nonprofit environment, considering the economy. With a belief in “finishing well,” Jenkins promised CWG members that they would receive all of the benefits that came with membership. Dave Sheets, former CWG president, and Rebeca Seitz, CEO of Spirit of Naples, a nonprofit developer of Christian content creators, formed the nonprofit BelieversTrust to “fill the void” left after CWG’s closure. Believers Trust is part of TheBelieversGroup, which also includes BelieversMedia, which will provide publishing services. Seitz will run BelieversTrust from Naples, Florida, and Sheets will run BelieversMedia from Colorado Springs, Colorado. Julie Boynton, former marketing coordinator for CWG, also joined the staff of BelieversTrust. Believers Trust also formed a strategic alliance with Word Weavers International, an 18-year-old writers organization founded and led by author Eva Marie Everson. All critiques offered by BelieversTrust will be provided by Word Weavers-trained teachers. The Word Weavers critique method, co-created by Everson, is known for its effectiveness and clarity. Majesty Bible and Gifts’ California chain is reconfiguring its stores. Hary Daud and his wife, Hae Hi Daud, who have owned and operated Majesty for more than 20 years, planned to open a new store in Visalia in early November, but also opted to close their Sacramento-area location. The new Visalia store in the San Joaquin Valley, located at 226 E. Caldwell Ave., was previously a Christian bookstore called Scripture House before the Dauds added it to their stores in Fresno and Turlock. It will close for a week of renovations, then reopen under the new name but with the same staff and management. A number of factors such as economic considerations and travel distance led to the Dauds’ decision to close the Sacramento store, which was three and a half hours away from the main location in Fresno. “It’s much easier to work from within [your current market] to do marketing,” he said. Everything from the radio station the store worked with for promotions to Majesty’s customer list was completely different, given the significant distance, and that made managing the operation more complicated. Daud also cites the growth of competitors in the marketplace. “Sacramento just has too many church-owned bookstores already meeting people’s needs for another store to do well in that market,” he reported. While Daud had explored other cities, Visalia made good sense. With Majesty’s largest store in Fresno, the Turlock store to the north and the new Visalia store to the south, there are distinct customer bases that also will benefit from having sister stores in the area. Daud also sees his wife as a good sounding board for such big decisions. Although the couple felt a distinct calling to take on a new retail location, they didn’t take the addition lightly. They took the time to ask the Lord to supply everything from finances and space to the right team to help run the new store. “Closing down one store and opening another has been challenging, but we’re so excited about what’s going on,” said Daud who first got interested in the business after he saw that his own ministry needs were not being met through a local Christian store. When his pastor asked him to teach Sunday school, he decided he would serve though he had never taught children. As for finding success in business, Daud says there’s “no one silver bullet.” In large part, however, he attributes the success he has had to his Majesty team. 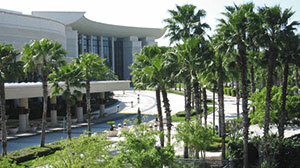 CBA previewed the 2015 International Christian Retail Show (ICRS) at the Orange County Convention Center in Orlando, Florida, for more than a dozen companies this fall. The Christian retail association promised lower expenses and programming changes for the June 28-July 1, 2015, convention and also hinted at possible locations for future shows. CBA will institute programming changes at this year’s ICRS, beginning with a general session Sunday afternoon before worship services and the Sunday evening concert. Monday and Tuesday general sessions and training will have exclusive hours, and exclusive exhibit-floor hours have been designed around those sessions. The Monday kickoff session begins at 8 a.m. with a keynote presentation followed by breakout sessions before the exhibit floor opens at 10 a.m.
ICRS “trendshops” will continue for fiction and film. The Children’s Product Trends session will feature a new research and presentation format, CBA announced. In addition, there will be more formal and informal time for networking. International guests will benefit from additional special programming in 2015. In partnership with Media Associates International and the Magazine Training Institute, ICRS will feature specialized training and consulting for international publishing and magazine development and operations. Show attendees also will receive free buyer registration without having to room in the CBA hotel block, although competitive room rates will be offered there. Booth space rates also have been reduced. In addition to regular exhibit booths, the 2015 ICRS will feature special areas for authors/artists and international licensing and rights sales. Hospitality suites will be available outside the exhibit floor, and new space configurations allow meeting rooms within exhibiting areas on the show floor. For 2016 and beyond, CBA continues to work with Arrowhead Conferences and Events to finalize new locations. Arrowhead’s Jill Jordan told ICRS-preview attendees that cities under consideration will enable CBA to offer lower prices for all attendees and exhibitors. 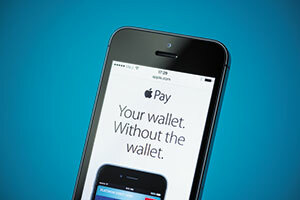 Apple customers can now start making payments with the touch of a finger. The company’s new Apple Pay service became available in the U.S. on Oct. 20. The company said that Apple Pay offers “an easy, secure and private way to pay” using the Touch ID fingerprint sensor on iPhone 6 and iPhone 6 Plus in stores and through apps. Users of the iPad Air 2 and iPad mini 3 will be able to use Touch ID on their devices for Apple Pay within apps. The new service is enabled by a free software update to iOS 8. The mobile payment service allows customers to make purchases without cash or credit cards in hand. Consumers either use credit cards they already have registered with iTunes or enter a new credit card number. Each time a consumer makes a purchase, a unique, 16-digit security code is created that cannot be used on another device or by another person. Stores must install an NFC (near field communication) reader to accept Apple Pay purchases. The Mardel chain is monitoring various payment options, but has not joined the Apple bandwagon—at least not yet. LifeWay is also not on board. “We’re intrigued by the capability, but have no immediate plans to implement Apple Pay,” a LifeWay spokesman said. Family Christian Stores “will not have Apple Pay as a payment option at this time,” said Steve Johnson, the chain’s senior marketing manager. Bookstore Manager is expected to roll out mobile payments hardware in the first quarter of 2015. Brent Casey, chief operating officer, said the price to retailers for each Verifone reader that will interface Bookstore Manager’s system likely will be at about $250, but it hasn’t been set yet. Bookstore Manager is planning to offer two reader options, the contactless (NFC) and the standard reader, which requires the card to be inserted into a slot. Both offer the possibility of pin or signature. Credit card issuers are moving toward providing cardholders with smart cards (cards with chips), and because of a change in the law shifting liability for bogus transactions to the retailer, stores must comply by October 2015. Hillsong United took home five honors, including the Artist of the Year and Song of the Year, at the 45th Annual GMA Dove Awards. Other multiple-award winners were Switchfoot with three and Skillet with two presented at the Oct. 7 Nashville event. Co-hosted by Lecrae and MercyMe’s Bart Millard, the Gospel Music Association (GMA) Dove Awards drew record attendance at the Allen Arena on the Lipscomb University campus. The awards show was broadcast at a later date exclusively on Trinity Broadcasting Network (TBN). 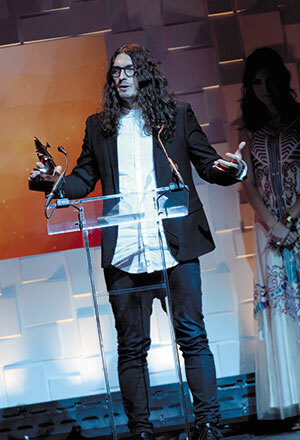 Hillsong’s creative pastor, JD, accepted the awards on behalf of Hillsong United. Switchfoot received the awards for Rock/Contemporary Album of the Year for Fading West (Atlantic/Word Distribution); Rock/Contemporary Song of the Year for “Love Alone Is Worth the Fight” from Fading West; and Long Form Video of the Year for Fading West. Skillet won two significant categories, Rock Album of the Year for Rise (Atlantic/Word Records/Word Distribution) and Rock Song of the Year for “Not Gonna Die,” one of several No. 1 radio hits from Rise. Rise made its debut at No. 1 on the Billboard Rock and Christian charts and No. 4 on the Billboard 200. The awards were handed out in 42 categories. The televised winners include: Hillsong United, Song of the Year for “Oceans (Where Feet May Fail)” (Hillsong/Sparrow Records/Capitol Christian Distribution); Karen Peck & New River, Southern Gospel Recorded Song of the Year for “Revival” (Daywind Records/New Day Christian Distribution); Hezekiah Walker, Contemporary Gospel/Urban Recorded Song of the Year for “Every Praise” (RCA Inspiration/Provident Distribution); Erica Campbell, Traditional Gospel Recorded Song of the Year for “A Little More Jesus” (My Block/eOne Music/eOne Distribution); Andy Mineo, Rap/Hip Hop Album of the Year for Never Land (Reach Records/New Day); Mandisa, Pop/Contemporary Album of the Year for Overcomer (Sparrow/Capitol Christian); Kari Jobe, Praise and Worship Album of the Year for Majestic (Sparrow/Capitol Christian); and Inspirational Film, God’s Not Dead (Pure Flix). “Honestly, I’m just sitting in God’s Word, and the songs just keep coming,” said Holcomb, New Artist of the Year. Singer Michael Tait of the Newsboys reflected on the God’s Not Dead movie win. Four special honors also were presented. Hillsong was given the Lifetime Achievement Award; Eddie DeGarmo, the GMA Impact Award; Akintunde, the Grady Nutt Humor Award; and SiriusXM, the Outstanding Mainstream Contribution to Gospel Music Award. Jonathan McReynolds and Meredith Andrews were co-hosts of the pre-show ceremony where more than 30 of the awards were received and many top artists performed. The art and science of book design was celebrated Oct. 21 with the announcement of the best designs of the year produced by Christian publishers. The Evangelical Christian Publishers Association (ECPA) presented the Top Shelf Book Cover Awards among the industry’s design elite during the association’s PUBu event at Wheaton College in Wheaton, Illinois. One of the features of the program is to allow the judges to select the top designs regardless of how many there are. Last year, 10 designs were chosen, but this year, 16 stood out as the best of the best. “It was a difficult yet fun process reviewing so many good entries. Many of the entries were unanimously chosen by all of the judges,” said 2014 design judge Kirk DouPonce, whose has worked on thousands of covers. DouPonce was joined by University of Chicago’s designer Isaac Tobin and renowned freelance designer Abby Weintraub. If there were a conflict of interest in the competition, a judge would refrain from scoring a particular title. Judge comments on each cover are featured in a print annual produced by Faceout Studio and printed by Color House Graphics. Josh Dennis, Crossway’s senior vice president of creative, was “grateful” the design team was recognized with five awards, the highest number of winning covers for a single publisher this year. 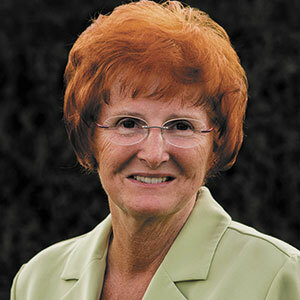 Sales of Wanda E. Brunstetter’s books have topped 8 million copies, Barbour Publishing announced in the fall. Readers have purchased 1 million copies in each of the last two years, the publisher said. The announcement was made as Brunstetter, branded as “Amish Country’s Most Beloved Storyteller,” was visiting with readers during her fan-filled weekend in Ohio’s Amish country. That same weekend Brunstetter and Barbour were celebrating the news that sales of her August novel, The Healing Quilt, had sent the third installment in her series about an Amish couple teaching quilting lessons to the No. 1 slot on the Evangelical Christian Publishers Association Fiction list and to placement on the Publishers Weekly list as well. Barbour also reported that sales of Amish Friends Christmas Cookbook are well on their way to propelling her to the 9 million mark. Brunstetter’s Amish books resonate well with readers in part because of her relationships with the Plain People via family heritage and Amish friends across the country. These close acquaintances, whom Brunstetter and her photographer-husband, Richard, visit frequently, enable her to portray the Amish lifestyle accurately, affectionately and with a voice of authority, according to her publisher. During her tour to promote The Healing Quilt, she visited the homes of Amish friends while signing and speaking in Pennsylvania and Ohio. Some of her signings were scheduled in conjunction with performances of Half-Stitched—the Musical. The play is based on Brunstetter’s 2012 novel, The Half-Stitched Amish Quilting Club. 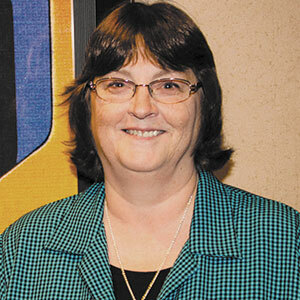 Along with Brunstetter, Vickie McDonough has seen recent success. In October, it was announced that she hit and surpassed her first million-copies-sold mark with Barbour. “Barbour Publishing appreciates Vickie McDonough’s hard work and congratulates her for hitting the 1 million mark in sales,” the company said in a statement. 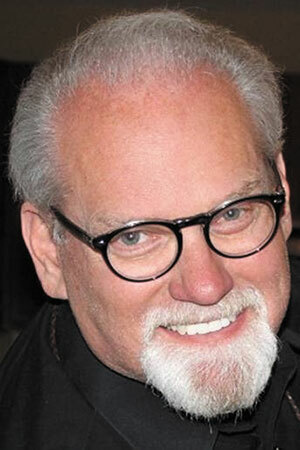 McDonough has authored more than 30 published books and novellas that have appeared frequently on best-seller lists from CBA and the Evangelical Christian Publishers Association. Her titles have won numerous Heartsong Presents’ annual readers’ contests and Inspirational Reader’s Choice contests. McDonough also is an American Christian Fiction Writers Carol Awards finalist. In 2013, she was the winner of an OWFI (Oklahoma Writers’ Federation Inc.) award for Best Novel and had a Romantic Times Recommended Inspirational Book. McDonough’s next release with Barbour is the first installment of the “Land Rush Dreams” series, Gabriel’s Atonement (Shiloh Run Press, Jan. 1).